Forty-percent of millennials polled for one survey believe the goal of businesses should be to ‘improve society’. Profit with purpose is set to become the new norm. Up to this point, social enterprise and impact investment have been driving this concept, which has somehow remained confined to a niche. Not anymore. Now, it’s all set to change: the CEOs of the future will want their companies to be recognised as forces for good. Has Polman revolutionised the sector? Not quite – but there is certainly an emerging trend for more corporates to take sustainability issues seriously, and changing their business strategies accordingly. Danone, one of the world’s largest food companies, has made a public commitment of becoming a certified B Corp by 2030. Its CEO Emmanuel Faber is on a mission to “re-establish trust with employees, consumers, partners, civil society and governments”. His vision of ‘One Planet. One Health’ addresses the intersection of food sustainability, health and the environment. As one example, Danone now analyses the habits and health issues of its customers in 52 countries and adapts its products accordingly. It recently added vitamins to one of its best-selling cheeses after researching the diets of young people in Brazil. So will the future of big business be modelled on social enterprise? It may not be too unrealistic. Investors are also signaling a desire for social impact alongside a financial return. 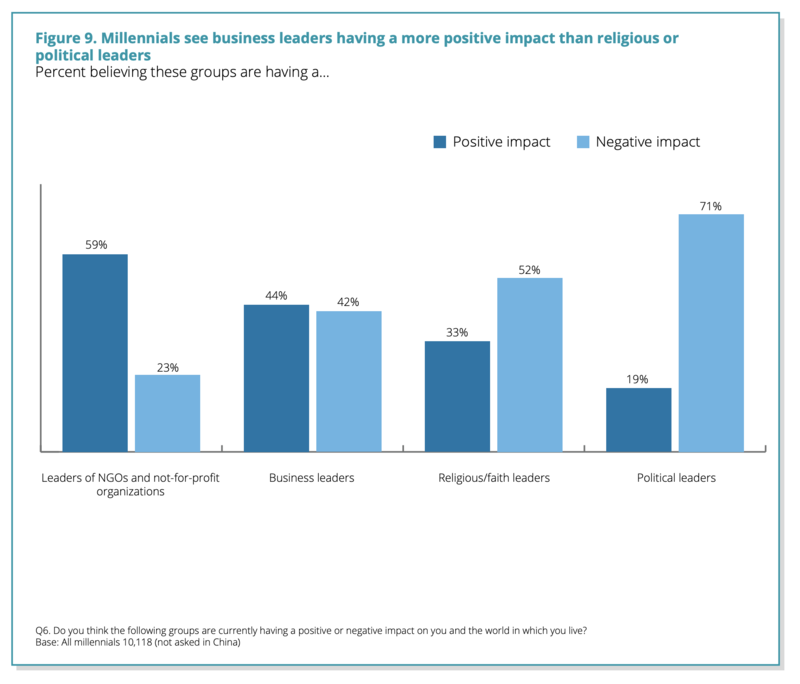 A recent survey of high-net-worth millennials found 69% place greater importance in investing in companies showing a high level of corporate social responsibility. Globally, responsible investing is booming, up 25% over the past two years to the tune of $23 trillion, according to the Global Sustainable Investment Alliance. In addition, the global green bond market – created to fund projects that have a positive environmental or climate benefit - was estimated to reach up to $300 billion by the end of 2018, nearly double its value in 2017.